Christ College old boy Max Darling has signed a multi year professional contract in Croatia with 1st division club Vrijednosnice Osijek. Vrijednosnice Osijek is based in Osijek, Croatia and is coached by Vladimir Kritic who is currently a Croatian national team assistant coach as well as former national team player. Max attended Nelson College before moving to Christchurch and attending Christ’s College for his last year of school. Max was a huge part in helping Christs College finish 4th in New Zealand the highest a boys Christchurch school has finished since 1999. The Christ College group included 3 other players who have received US College scholarships including Will Harrison, Tom Crutchley & Max de Geest. This past season he played for the Canterbury Rams where he was Rookie of the Year following in some big footsteps. Here are some of the names who have also received Rookie of the year including Steven Adams (2011), Tai Webster (2013) Kirk Penny (1998) Mark Dickel (1993) and Pero Cameron (1992). 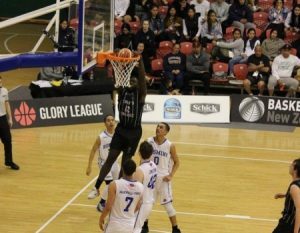 Max put up some impressive defensive performances against some of the best players in the league including Alex Pledger and Angus Brandt both ANBL level players. Most recently Max played for the New Zealand Junior Tall Blacks in the U18 Asian championships in Thailand. Max averaged 13 points and 6 rebounds over the tournament. 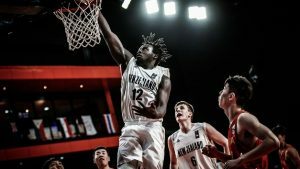 Max had his two best performances in the Semi-final against China and Australia in the final where he averaged 22 points, 7 rebounds and 2 blocks a game. The Croatian 1st division has a reputation for developing high level talent. Most recently Dzanan Musa who played last season in the league was selected 29th pick in the recent draft by the Brooklyn Nets. Other players who have played in the league include current NBa players Ante Zizic (Cleveland Cavaliers), Dragan Bender (Phoenix Suns), Ivan Zubac (Los Angeles Lakers) and Jusaf Nurkic (Portland Trail Blazers). “I am feeling really excited and nervous at the same time. I know it is a great opportunity for me and I am going to train my hardest and learn as much as I can. I am looking forward to starting a new chapter in my life and experiencing a whole new culture. I am also excited to see how much I can improve my game when I am there,” stated Max Darling. “We know that this is the beginning of many new adventures for him. We’d like to say a huge thank you our families & friends in Nelson & Christchurch that always support us, & to the coaches in both Nelson & in Christchurch that have made such a positive mark on Max, their belief in his abilities & their excellent coaching has been massive in helping him become the player he is today. 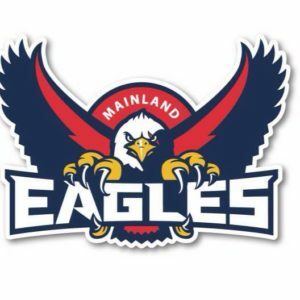 In particular The Mainland Eagles Academy who have mentored & coached Max since he first started playing basketball at age 13, their programmes’ develop the whole athlete focusing on academics as well as sport, nutrition, strength & conditioning, the mental stuff & the importance of giving back to the community,” stated Karen Darling (Max’s Mum). 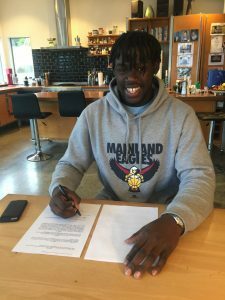 “We are all looking forward to watching Max’s progress and development on his outstanding new opportunity in Europe,” stated Mainland Eagles Manager Ben Sheat. “We’d like to thank Mark Dickel who has pushed Max so hard over the past couple of years & got him ready to play at the next level. Marks coaching & belief in Max has had an enormous impact on his game & we can never thank him enough. The Harrison & de Geest families have been huge supporters of Max, their care & commitment to him has enabled him to continue to work towards his goals. 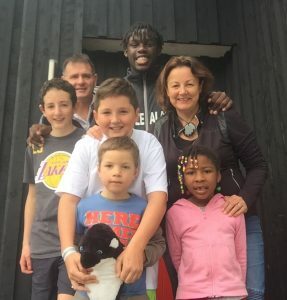 Max has also been fortunate to be part of Basketball New Zealand’s programmes since he was 14 & has received some fantastic coaching through their age group teams,” stated Karen Darling. Max will be heading to Croatia later this month. The signing comes after fellow players from the South Island signing US College scholarships beginning in August, 2018 including Quinn Clinton, Will Harrison, Tom Crutchley, Carl Isitt, Tsubasa Nisbet, Esra McGoldrick, Lauryn Hippolie & Amiee Book. In total there are currently 27 Mainland Eagles Academy alumni who have received US college scholarships over the past 3 years.